Yes, yes. 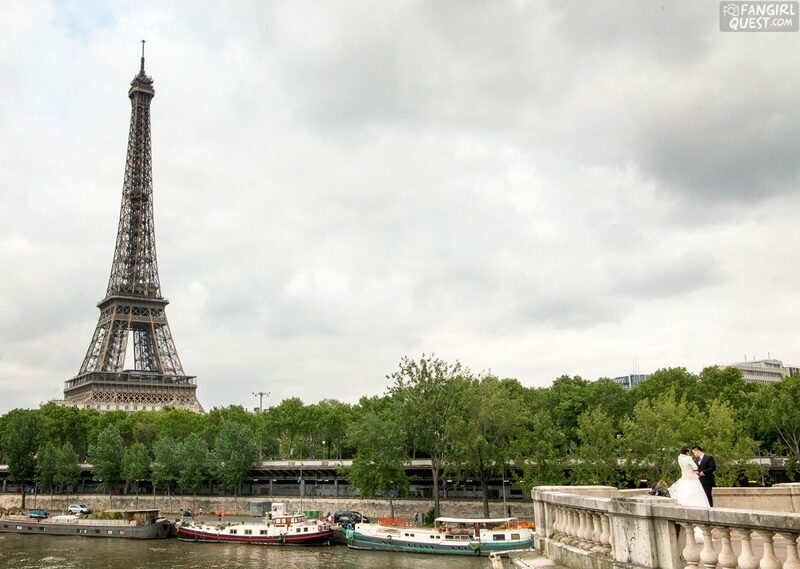 We’d all love to see the Eiffel Tower at some point of our lives. But once you’ve seen it, you’ve seen it. It’s there. It’s a tower. It’s beautiful, and it’s magnificent, but we’ve all seen it a thousand times in all the postcards, posters, merchandise and news photos since we were kids. 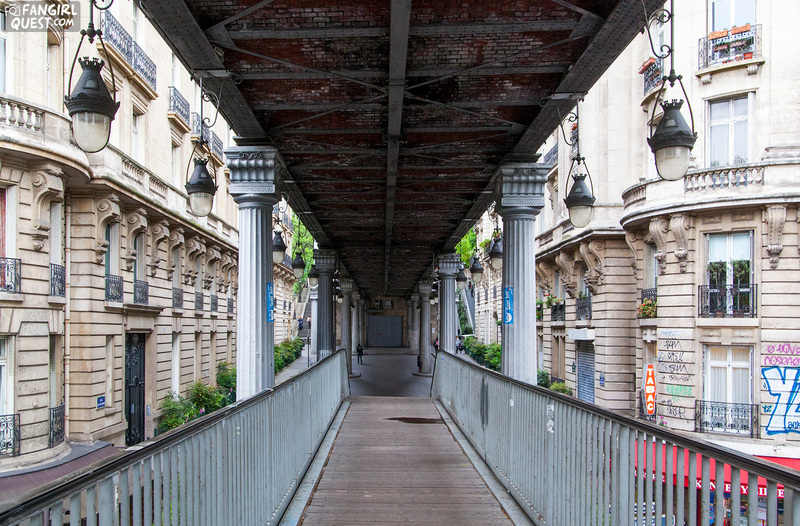 But there’s something really cool standing just a stone’s throw from the Eiffel: the Inception bridge. 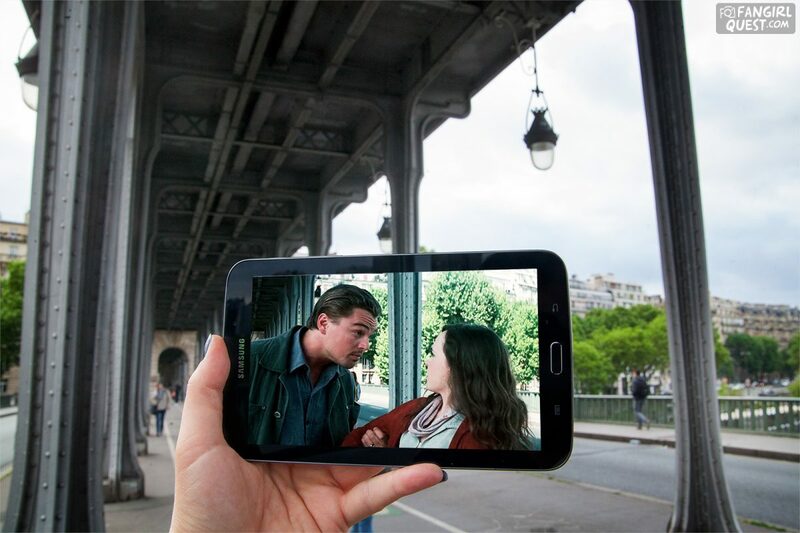 The Inception bridge AKA one of their filming locations in Paris: Pont de Bir-Hakeim. Pont de Bir-Hakeim is a bridge crossing the Seine River in Paris. It was built over a hundred years ago and loyally serves as a river-crossing point to the locals, but in 2010 it became a true film star. That is when Christopher Nolan arrived with his crew, including Leonardo DiCaprio, Ellen Page and Joseph Gordon-Levitt. In 2010 something magical happened on this bridge. 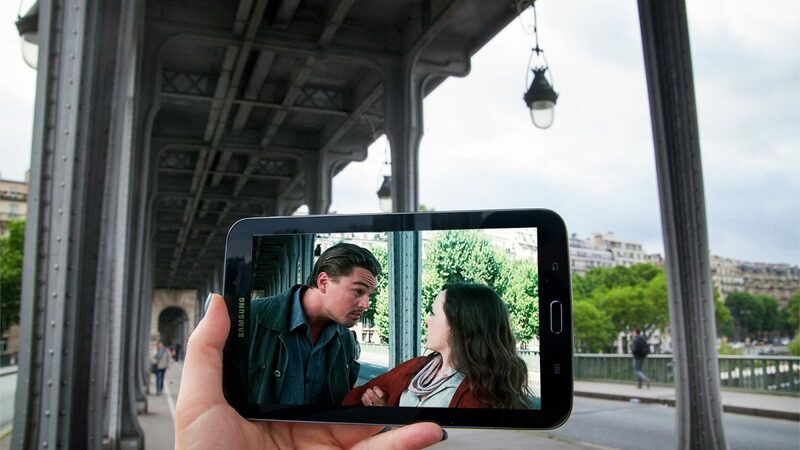 Leonardo DiCaprio and Ellen Page, stars of Inception, also now star in this sceneframe of ours! The scene that was filmed here takes place quite early in the movie. It’s where Ellen Page’s character Ariadne learns how to build dreams. It’s all very casual at this point and we viewers still mostly understand what’s happening, but there are some really stunning visual tricks being used here already. We both visited Paris for the first time in 2012. But back then, we weren’t so clever with the filming location thing. I think the only thing we visited back then were the stairs from Midnight in Paris, the ones that Owen Wilson sits on just before stepping into the car-shaped time machine. Last year, I (as in Tiia) went back to Paris, mainly because of a Radiohead concert but also to spend a few days with some dear friends. I also decided to visit a few more filming locations, and one of the main movie attractions for me was this bridge. 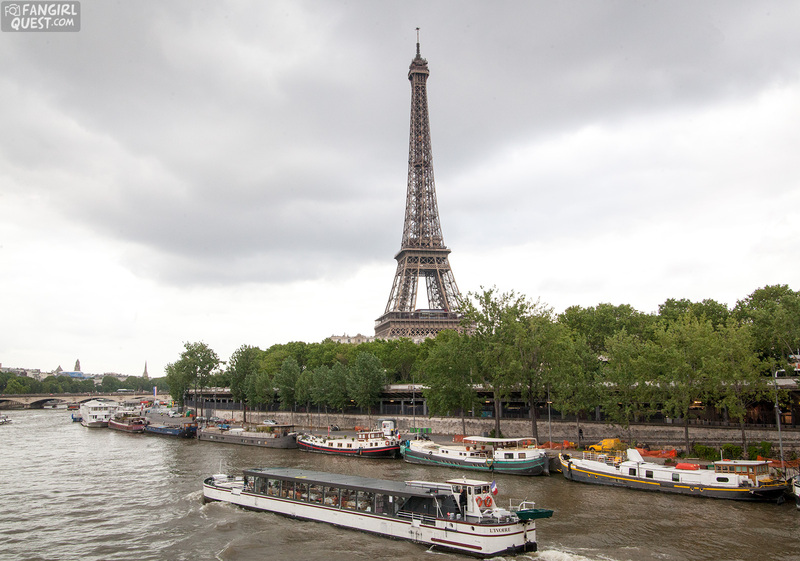 I got there on the Paris Metro and luckily, it was quite an easy trip. You see, I’m a teensy bit afraid of traveling alone without Satu, who’s much better with the navigation and practical things like that. I mean, I can totally do it, I’m just not as comfortable as I am with her. 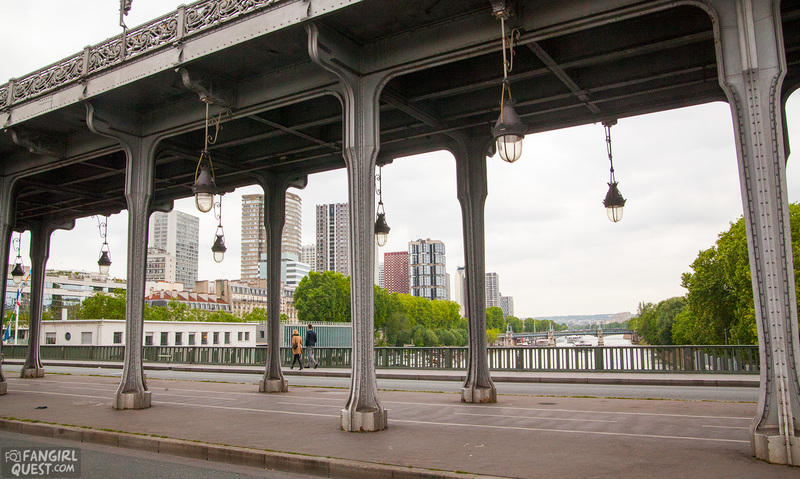 But the bridge is super easy to visit: there are metro stations nearby, and if everything else fails, you can always just look for the Eiffel tower. Once you’re close to that, you’ll be very close to Pont de Bir-Hakeim as well. Look, there it is. This photo of the Eiffel was taken from the Inception Bridge. Anyway, there I was, finally. Standing on the bridge, trying to avoid getting ran over by cars on both sides of the walkway, keeping an eye on oncoming cyclists and runners. I took selfies, I walked back and forth with a huge grin on my face, I aligned a movie screenshot after another against their original background. I wondered if anyone knew why I was there. I wondered if I could get a fellow fan there to highfive with me, just to celebrate being there. Because sometimes, you really need another fanperson to highfive. Lots of bikes, cars and runners: be careful on this bridge when touristing! Now, I’m not sure if you’ve seen the TV show Parks & Recreation. If you have, you’ll get the next reference. If you haven’t… well, you should definitely take some time to watch it. 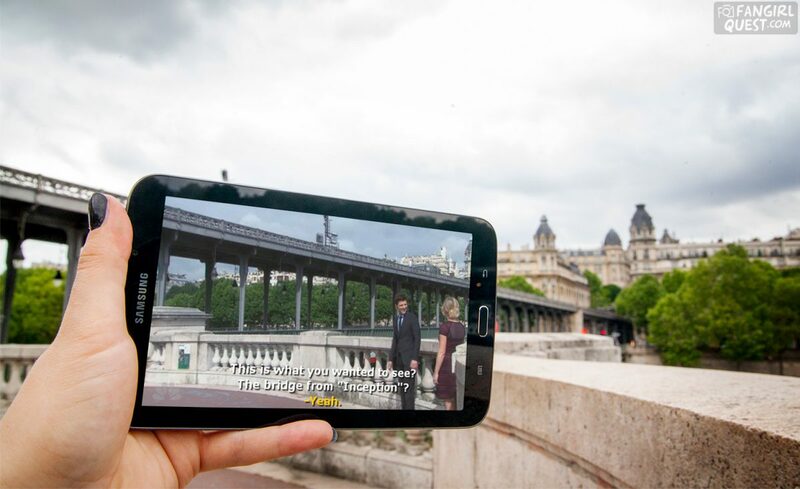 But whatever the case, they too came to see the Inception bridge in the show! The happy couple with an Eiffely backdrop. …but finally they left and I got to do this one. 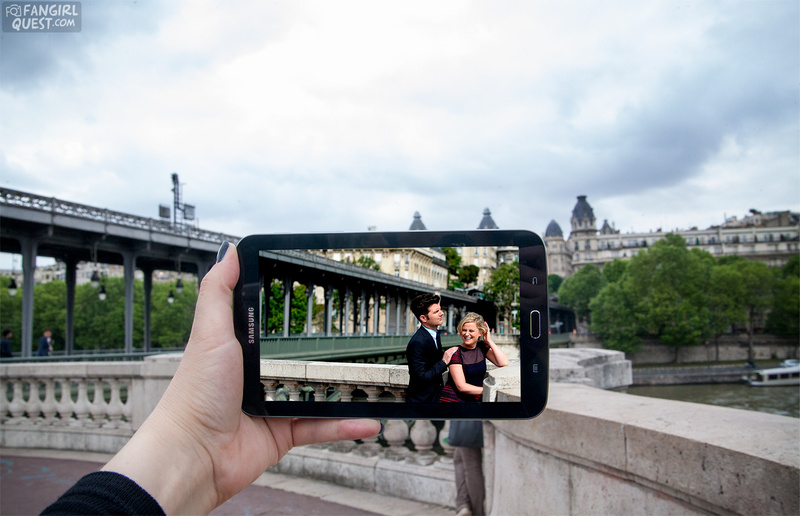 Ben Wyatt and Leslie Knope in Paris, viewing the Inception Bridge. I also took this one because the caption made me laugh. Same, Ben. Same. Ben Wyatt and Leslie Knope (Parks & Recreation) visiting the Inception Bridge. Ben: I just never thought I’d see it with my own two eyes, and here it is. It’s just… there. It’s in front of me. Leslie: This is what you wanted to see? The bridge from “Inception”? Leslie: But the Eiffel Tower is behind us babe. Ben: Yes… but this is the bridge from “Inception”. 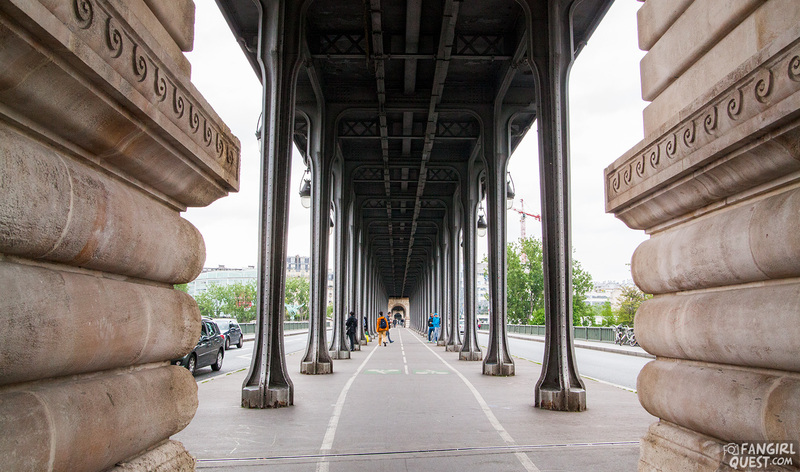 Pont De Bir Hakeim: 237 metres (777 ft) long and 24.7 metres (81 ft) wide. 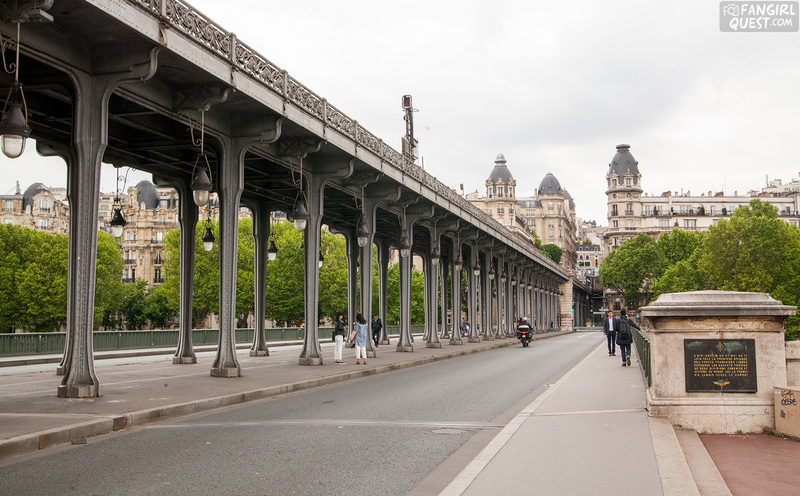 At the end of the bridge you’ll find another Inception filming location. There are many other Inception locations in Paris apart from the bridge, but we’ll get back to those a little later. In the meanwhile… let’s all enjoy a bit of the craziness that went into filming this glorious movie. Tadah. Isn’t this all just incredible?